Browning's Flex Foam Cartridge Case holds extra cartridges close at hand and easy to get at. Quiet, durable and easy to access in your pocket or pack, and easy to keep track of between hunts. Quiet and secure. Molded Flex Foam is lightweight and durable. It holds ten centerfire rifle cartridges ready for easy access Secure elastic cord or hook and loop closure. 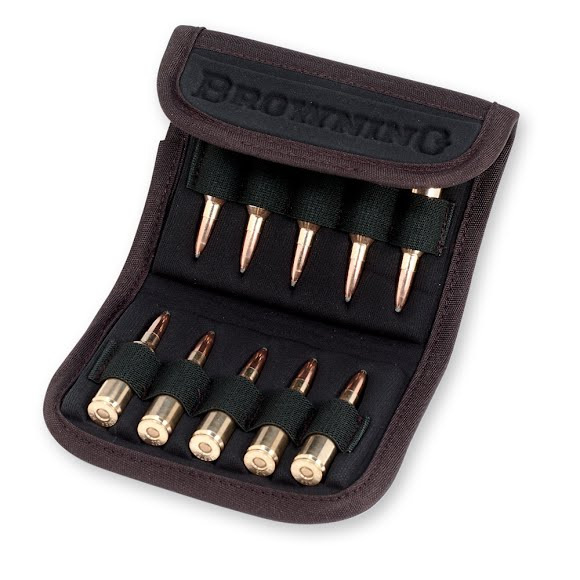 Browning &apos;s Flex Foam Cartridge Case holds extra cartridges close at hand and easy to get at. Quiet, durable and easy to access in your pocket or pack, and easy to keep track of between hunts. Quiet and secure. Molded Flex Foam is lightweight and durable. It holds ten centerfire rifle cartridges ready for easy access Secure elastic cord or hook and loop closure. Triple stitched nylon-webbed belt loop makes it easy to carry on your belt or pack strap.